The transcontinental railroad opened the doors to America, especially those lightly traveled areas where Herculean efforts were required to cross hundreds of miles of remote wilderness, steep mountains, and endless desert. Discovery of gold in 1848 focused world attention on California and the Pacific Coast region. At the time, early settlers had few options in cross country travel: An arduous overland journey across the plains by oxen or mules, or long ocean voyages via Panama or around Cape Horn. A growing sentiment in the west and east favored a railroad that would bind the nation closer together. 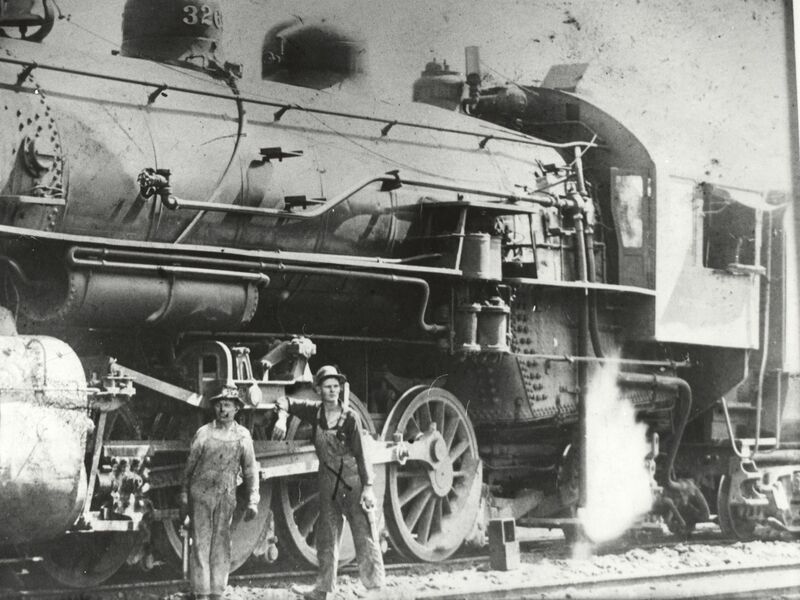 The roots of Southern Pacific Railroad’s path through the Coachella Valley can be traced to the country’s pre-Civil War days and the creation of the Central Pacific Railroad Company of California, incorporated June 28, 1861. The brainchild of Collis P. Huntington, Leland Stanford, Mark Hopkins and Charles Crocker, the corporation was formed to build the western portion of the Pacific Railroad — a transcontinental link from Sacramento, east over the Sierra Nevada Mountains. Construction began in Sacramento in 1863 followed by authorization of Congress in 1863. 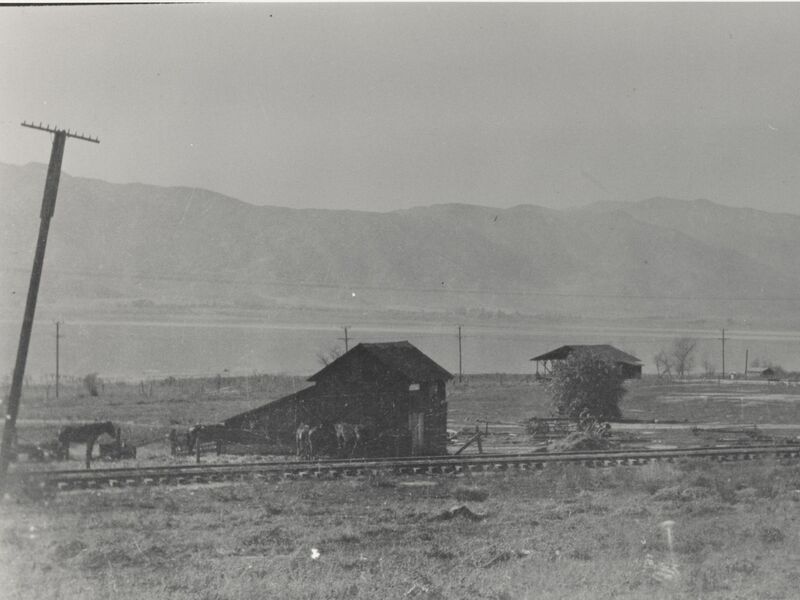 The line traversed 690 miles over the mountains and across Nevada to meet the Union Pacific at Promontory, Utah, where the last spike was driven on May 10, 1869. 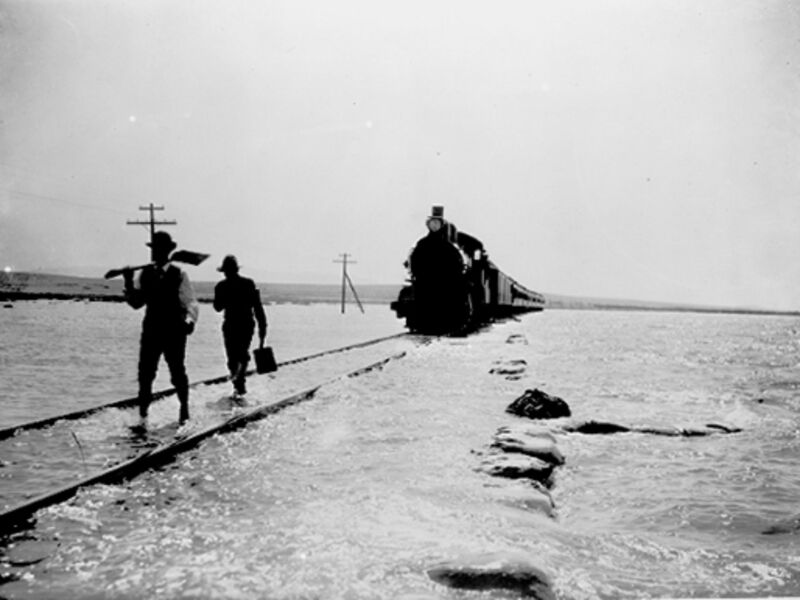 In 1865, the Southern Pacific Railroad was organized to build lines from San Francisco to San Diego and eastward to rails being proposed to reach westward from New Orleans. The surveyors for the Southern Pacific route reached the site of Indio, known as Indian Wells at the time, on March 25, 1872. 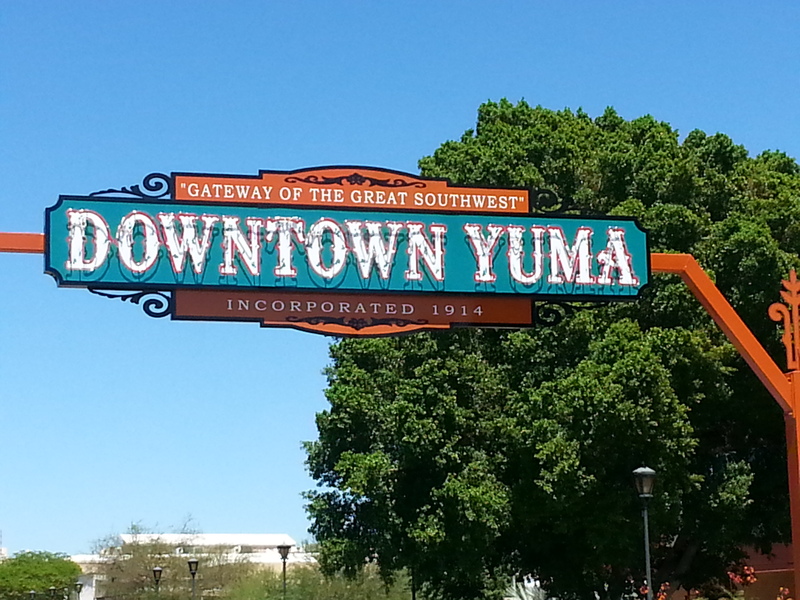 They reported that this point was halfway between Los Angeles and Yuma, Ariz. A perfect spot for a train depot. Southern Pacific acquired a 22-mile railroad from Los Angeles to Wilmington, opened in October, 1869 and construction began during 1873 on lines north and east out of the city. 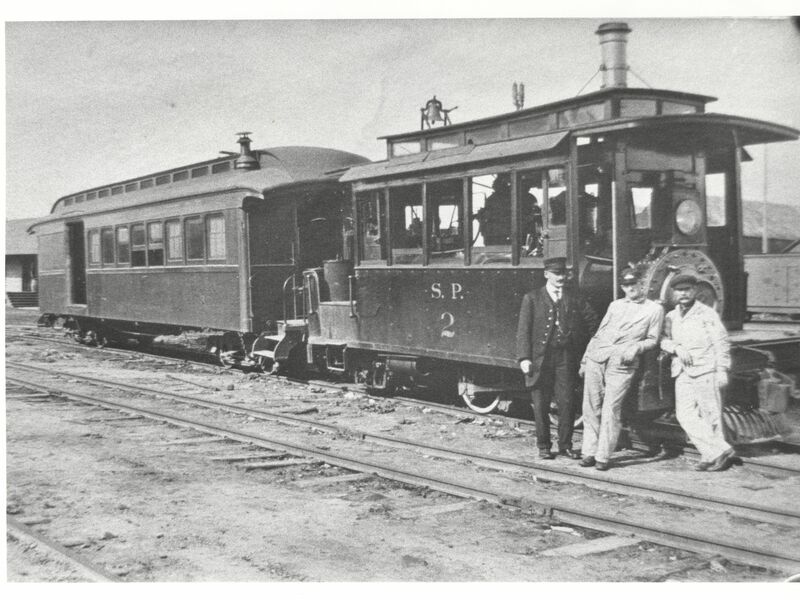 Trains were operated to Colton on July 16, 1895 and to Indio on May 29, 1876. 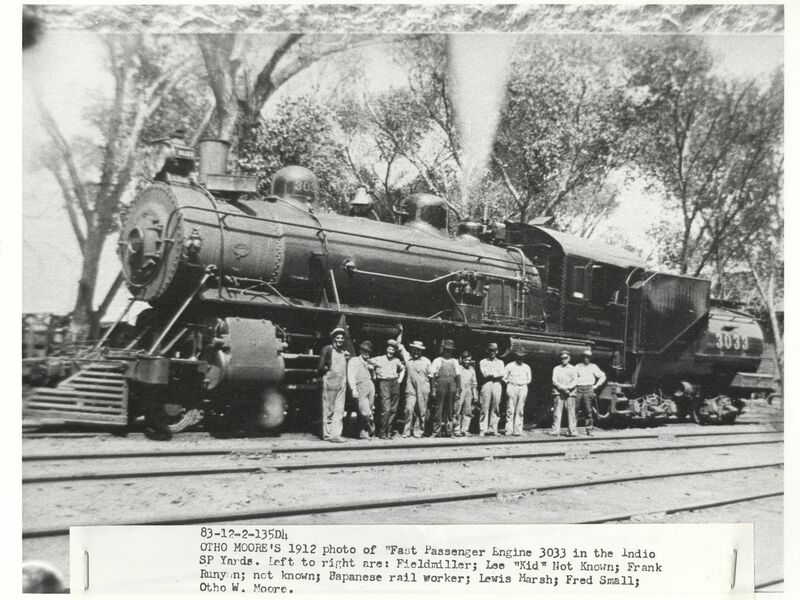 After the railroad’s arrival in 1876, Indio really started to grow. 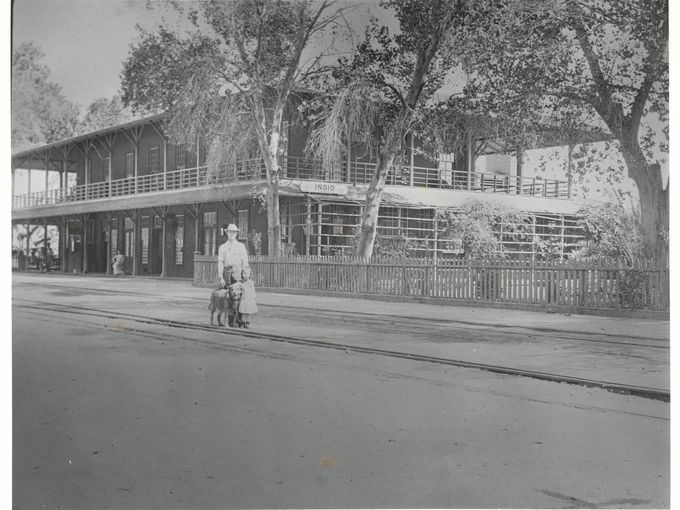 The first permanent building was the craftsman style Southern Pacific Depot station and hotel. Southern Pacific tried to make life as comfortable as it could for their workers in order to keep them from leaving such a difficult area to live in at the time. It was the center of all social life in the desert with a fancy dining room. Dances were hosted on Friday nights. 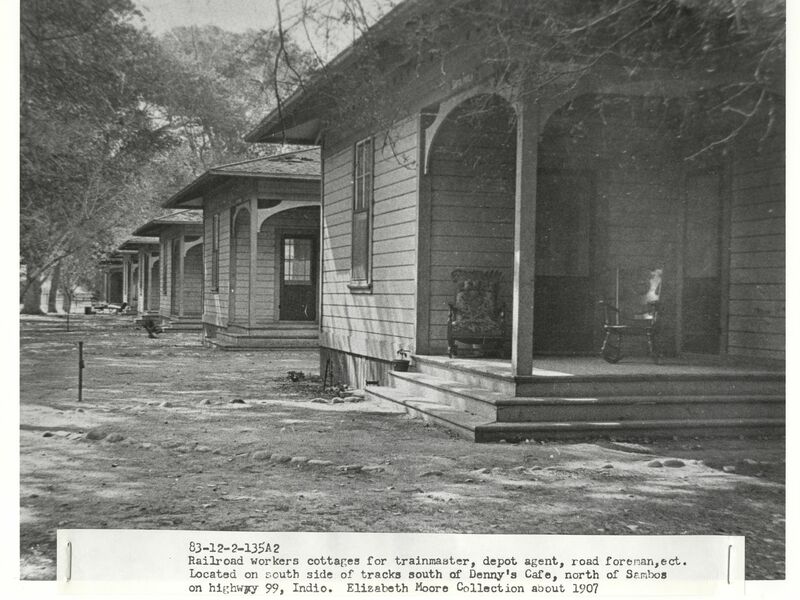 While Indio started as a railroad town, it developed into an agricultural area shortly thereafter. Onions, cotton, grapes, citrus and dates thrived in the arid climate due to the ingenuity of farmers finding various means of attaining water — first through artesian wells. The arrival of the Southern Pacific Railroad would leave an indelible mark on the Palm Springs-based Agua Caliente Band of Cahuilla Indians and shaped the future of the tribe. In the 1860s, the Federal government granted the railroad ten miles of odd-numbered sections of land on each side of the railroad right-of-way. In 1876, when President Ulysses S. Grant established the present Agua Caliente Indian Reservation by executive order, only the even-numbered sections were still available. This created the reservation’s “checkerboard” pattern. In 1875, the Cahuilla Indians began working on the construction of the railroad. The tracks ran about six miles north of the Palm Springs Way Station, which served as a stagecoach stop from 1865 until the rail line was completed in 1887. The Southern Pacific built a Spanish-styled railroad station in the 1930s, located in North Palm Springs on Tipton Road off Highway 111. By this time, Palm Springs had already become a popular tourist destination and was known as a world famous winter playground for Hollywood stars. 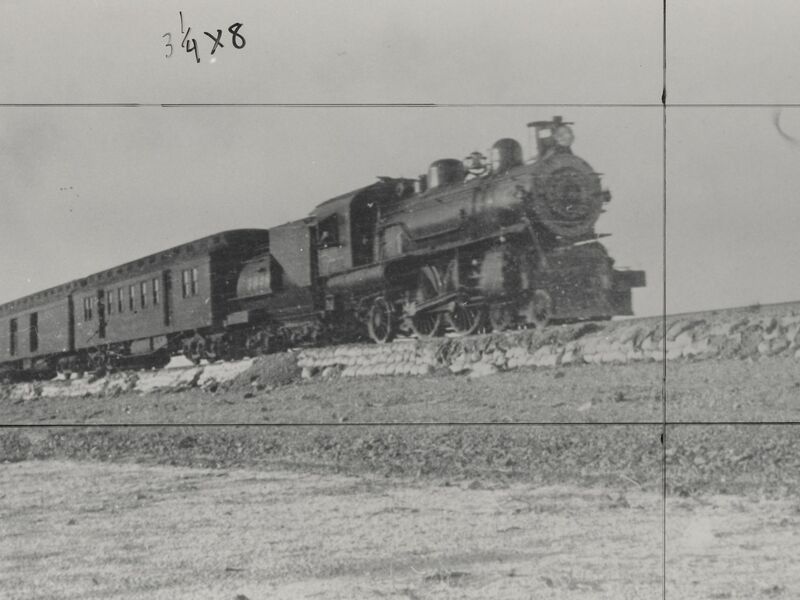 The Southern Pacific, traveling on what became known as the Sunset Route, now delivered travelers right at the doorstep of this thriving desert community. A 1914 brochure touting the Southern Pacific Sunset Route as the “Best Route to the California 1915 Expositions” — the Panama-Pacific Exposition was being held in San Francisco and the Panama-California Exposition was taking place in San Diego — provided colorful descriptions of the stops along the route, which originated in New Orleans. That year, 1914, the valley shipped more than 4,000 cars of cantaloupes alone, to all sections of the United States. From a waste only a few years ago, the Imperial Valley now has a population of 25,000 with fine towns, street cars, clubs, newspapers, excellent hotels and a high class civilization. 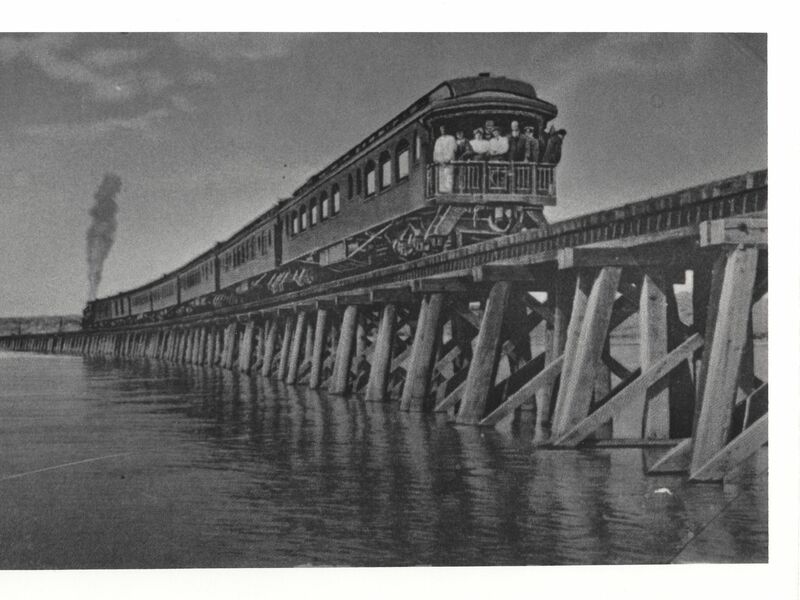 Next week: Southern Pacific Railroad History in the Coachella Valley, Part II. Members urged to call their member of Congress after BLET lobbies for two-person crew billCLEVELAND, November 22 — The BLET, working jointly with SMART-Transportation Division (formerly the United Transportation Union), made nearly 150 visits to members of the U.S. House of Representatives this week in support of H.R. 3040, the Safe Freight Act. The bill would mandate by federal law that two qualified individuals are in the cab of each freight train operating in the United States. BLET National President Dennis R. Pierce and Vice President & National Legislative Representative John Tolman led the team of BLET lobbyists, which also included: Texas State Legislative Board Chairman Terry Briggs; Ohio State Legislative Board Chairman Tim Hanely; District of Columbia State Legislative Board Chairman Herbert Harris; Pennsylvania State Legislative Board Chairman Ken Kertesz; Illinois State Legislative Board Chairman Paul Piekarski; Director of Regulatory Affairs Vince Verna; and Director of Bylaws Administration John Fink. Representatives Michael Michaud (D-ME) and Chellie Pingree (D-ME) introduced the legislation on August 2 in the aftermath of the tragic accident in Lac-Mégantic, Quebec, which heightened awareness of the risks of single person operations. The BLET, along with SMART-TD, has been working to gain co-sponsors for this bill since its introduction. 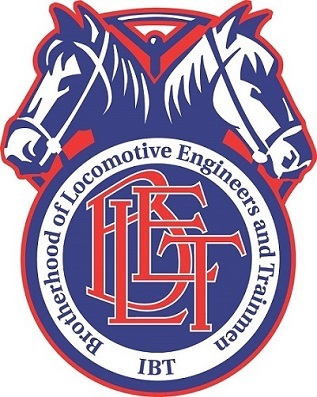 The organizations recently sent a joint letter to all offices of the House of Representatives refuting memos sent to the Hill by the Association of American Railroads (AAR) and the American Shortline & Regional Railroad Association (ASLRRA) for the purpose of dissuading possible support of the legislation. To follow up on the lobbying effort, President Pierce is now asking BLET members, retirees, the BLET Auxiliary, and all concerned family members to contact their members of Congress to continue the effort to increase the number of co-sponsors. To find your member of the U.S. House, go to http://www.house.gov and enter your Zip Code.